Certainly, the Revive 2017 does not look as sophisticated as the other popular Acronis software products, such as the Acronis True Image, but it delivers an unmatched experience when it comes to recovering lost files and data. It also targets memory cards, external drives and specific locations and you can effortlessly recover your data that you have lost for one reason or other. To start with the data recovery process, you should choose the location of the file, be it a physical drive, be it a lost data, be it a logical partition or a memory or be it even an external storage. 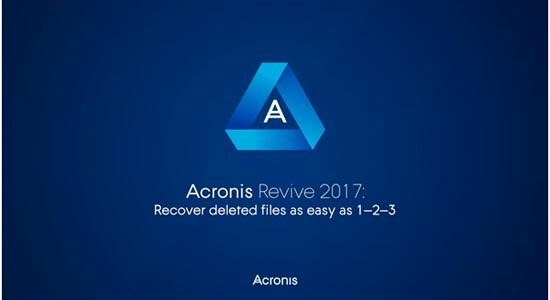 The lost files always reside on system disks and it is highly recommended that you create a portable version of the Acronis Revive 2017 during your setup and run the data recovery application from there. If you have another laptop, you can install the software on that system too and connect the damaged hard drive with the help of an adapter. Do not install the software program in the same location where your lost files are. 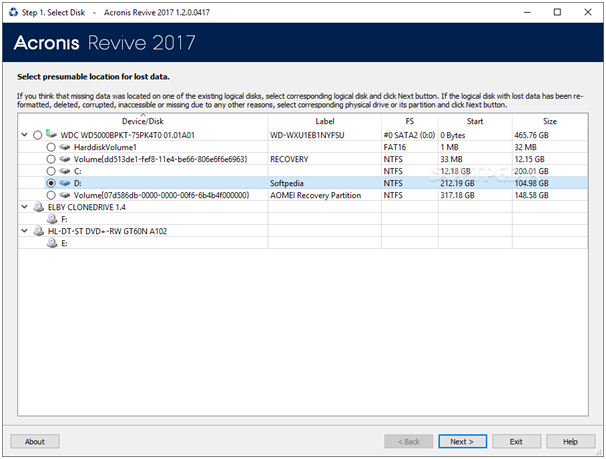 What kind of files can be recovered with Acronis Revive 2017? Files that already have been removed even from the Recycle Bin (or you have manually emptied the Recycle Bin). Files that were removed by virus attack and/or power cut. Files that have been removed from corrupted logical partitions or disks. The software program can also create separate image files for logical hard drives or disks. The program can easily process image files just as regular disks. Why images are important? This is because if there is a risk of complete data loss owing to malfunction of hardware components, you can still track the files. If you are experiencing bad blocks on the hard drive, creating images of that drive is the only way to save your data. Data search and recovery can be conducted from the captured image. 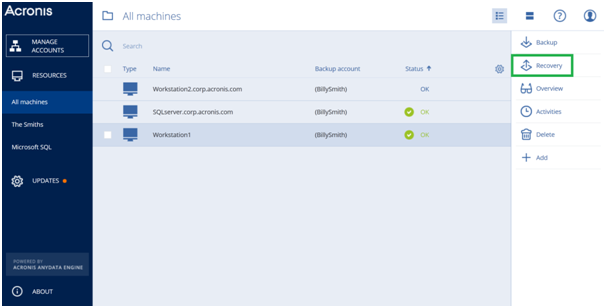 Acronis Revive – How is the typical user experience? After launching the Revive for the very first time on your system, you will see an option to search in your external and internal drives. After choosing the drive that needs to be scanned, you can open a defragmentation style window that will show the scanning progress. After that, narrow down the recovery options by creation time, last modified, or by folder. Recover My Files Data Recovery can easily get back files from unallocated, corrupt, formatted, missing as well as raw drives. It can also recover files that have been bypassed and deleted by the recycle bin. To preview the files you want to recover, just click on the Hex and Text tabs or preview the files on your display window. Recover My Files Data Recovery allows you to browse the search results while the search is still on. You don’t need to search an entire drive to find the lost files. You can even skip the search process midway and get busy rebuilding your recovered partitions. Recover My Files is known as a fast and easy software program for data recovery. All you have to do is to choose an option and click on it. The rest is easy-peasy. Head below to find a comprehensive list of features of Recover My Files Data Recovery. Recovers files from camera cards, hard drives, Zip folders, USB, iPod, floppy disks and other sorts of media files. After a hard disk crash, you can easily do a disk recovery using the data recovery software application. You can retrieve files after a partitioning error. Acronis Revive 2017 – the latest edition of Acronis Revive data recovery software program, stands out for its simplicity and ease-of-use. If you are specifically looking for a software program that does the job of data recovery with full scalability, you should go for it. However, if you think sleek interface is a must for any sophisticated software program, you should go for Acronis True Image or EaseUS Data Recovery Pro. The selection of any data backup and recovery software applications depends very much on your personal and business needs that are bound to be unique. Price-wise, Acronis Revive 2017 is definitely not the cheapest option so far. However, if you are looking to visualize the scanning process and get all the data back while keeping a tab on the scanned files, you should go with the Acronis Revive 2017, moreover don’t forget to check Acronis promo codes and coupons to save extra. It might have an unattractive interface which looks a bit dated, but it’s definitely one of the best options for complete data backup and recovery. Plus, it has all the advanced features that you won’t get in many data recovery software programs available on the market right now.